Click here to view more shows! The Seattle Knights and the Pirates of Puget Sound are the Pacific Northwest's premiere sword fighting and jousting theatrical troupe. 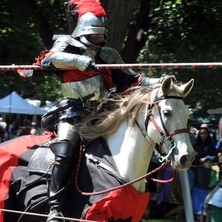 With equestrian thrills and high-octane choreographed stage combat using real weapons, the Seattle Knights bring you the best of medieval history and fantasy. 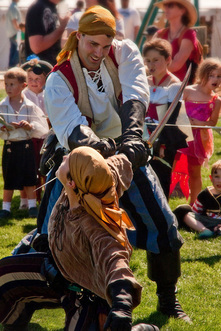 The Pirates of Puget Sound (PoPS) bring you exciting steel combat, replete with swashbuckling, eye patches, and bad puns! Call on us for knights, pirates, swashbucklers, musketeers, highlanders and more, to make your event — large or small — unforgettable. 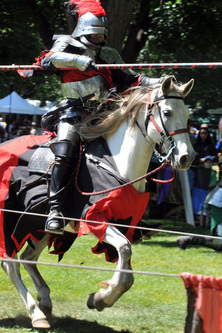 For more information about the Seattle Knights and the Pirates of Puget Sound, click here.